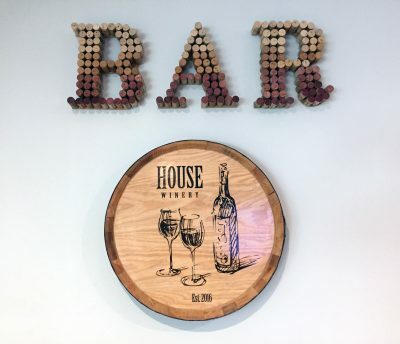 I made this Bar sign to hang above our bar area. Here is the tutorial. It was so simple. 2. 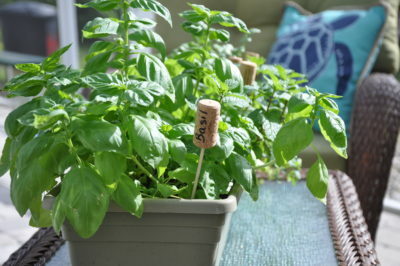 I also made these for my Herb Garden using bbq skewers and a sharpie. Easy peasy! 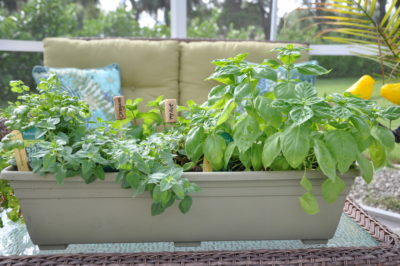 And here are some other fun and easy projects I found on the ole’ web made by other bloggers. 3. 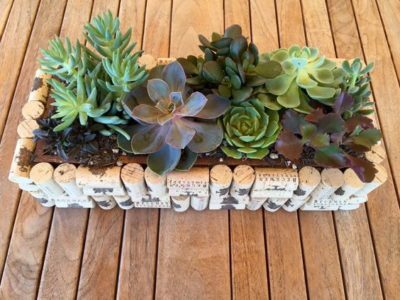 Check out this cute planter. Looks pretty easy to make too. 4. 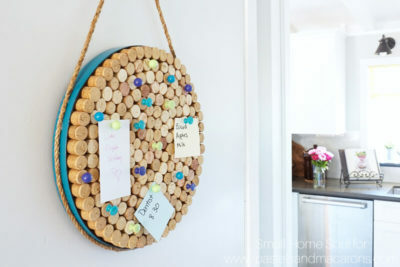 DIY Easy Cork Board! 5. 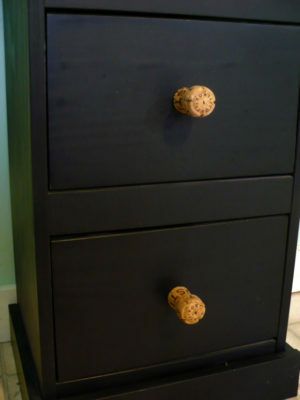 Drawer Pulls using Champagne Corks. How creative! 6. 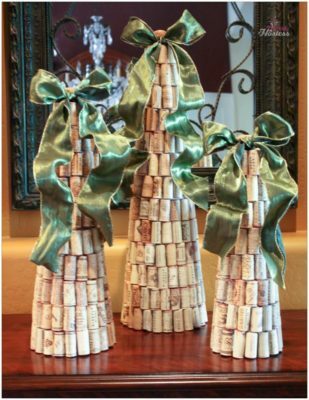 Cork Christmas Trees! 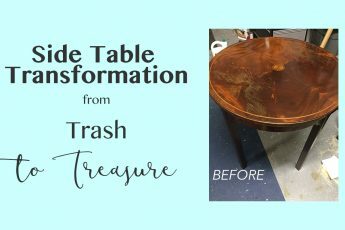 I think I found my next project. 7. Whoa! This is pretty cool. 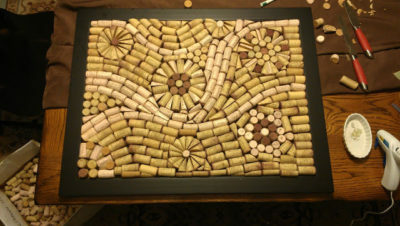 Wine Cork Wall Art! Click for the tutorial. 8. 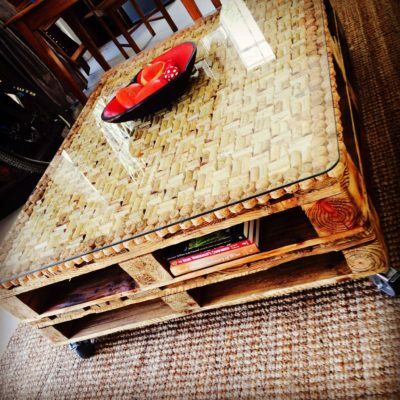 A cork top and pallet coffee table! There is no tutorial for this project but I am including it anyway cause its cool! This would be so great in a finished basement or game room. 9. 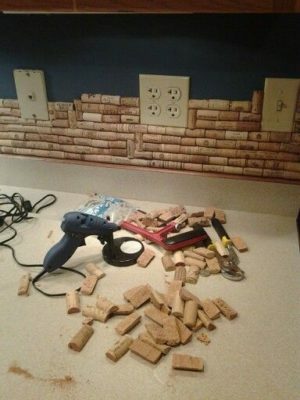 DIY Wine Cork Back splash. A friend of mine did this in her kitchen/bar area. Easy and it looks pretty cool. 10. 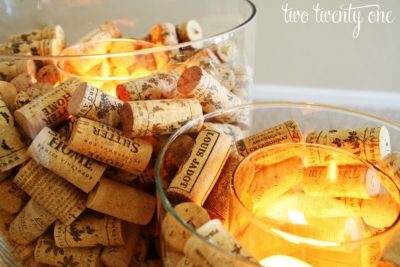 Wine Cork Candle Holders. So simple and pretty and cheap using stuff from the Dollar Store. 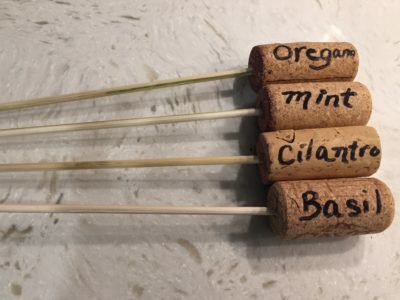 What have you done with your wine cork? 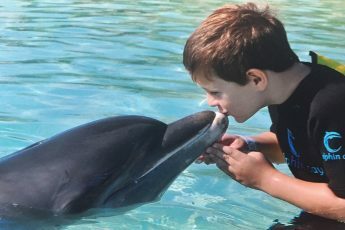 Anything fun to share? Drop me a comment below.